The Houston Livestock Show and Rodeo is in full swing, and the nice weather means crowds are descending on the carnival grounds. 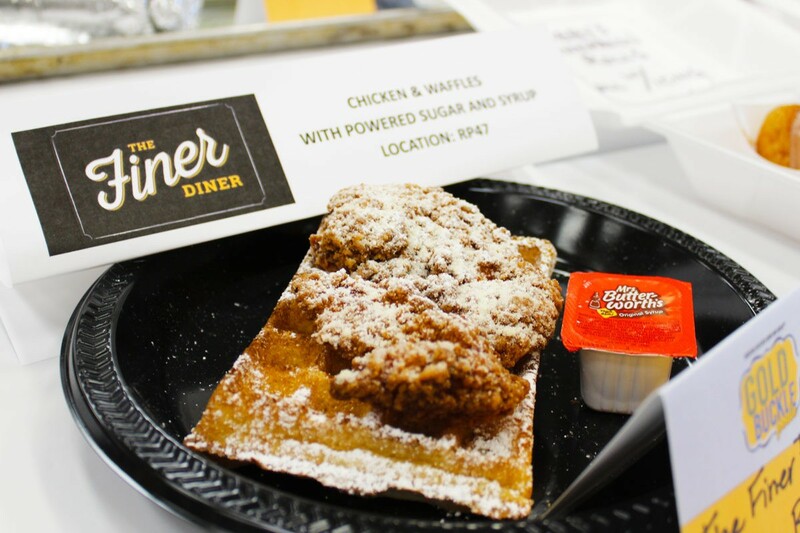 Along with the carnival come many longtime food favorites, along with several new options for 2017. 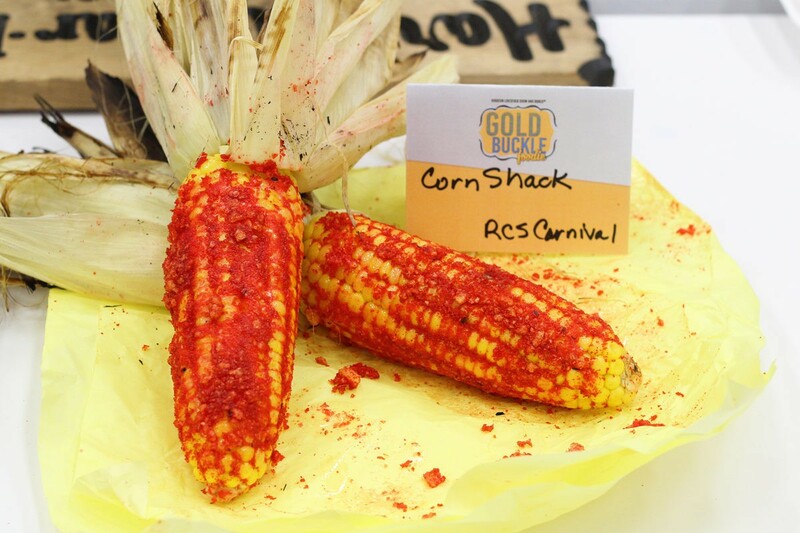 The Gold Buckle Foodie competition, hosted by the rodeo’s Commercial Exhibits Committee, is the annual opportunity for the purveyors to show off their fun, tasty or downright crazy carnival food and compete for the coveted plaques and fancy award buckles in each category. Around 40 media representatives from local television, radio, newspapers and web outlets served as judges. After more than two hours of sampling and rating food submissions, the votes were tallied and this year’s winners selected. A few of the 50-plus tasty submissions are featured here, with a complete list of the winners below. Of course, visitors to the carnival can hunt down all these tasty bites for themselves. 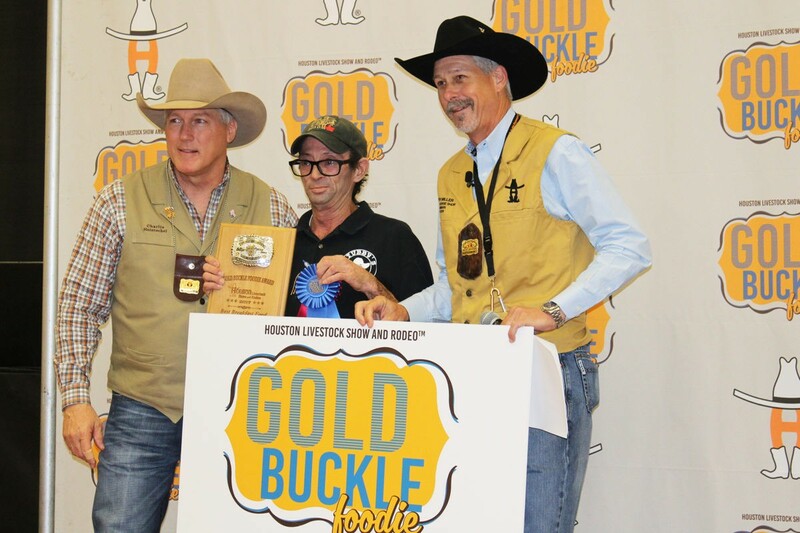 The truly dedicated can take the Gold Buckle Foodie Challenge by downloading the RODEOHOUSTON mobile app (available for iPhone and Android) and scanning the QR code at each winning vendor’s location. After trying all eight, visit the Social Station, located at the entrance of Hall D, to claim a prize. Rodeo Houston runs through March 26 at NRG Park, and is one of the most attended events in Houston, drawing over 2.46 million people last year over 20 days. About The Author: Smoked meat enthusiast and regular barbecue competition judge Scott Sandlin authors the Texas Pit Quest blog, maintains the Guide to Houston-Area BBQ map, and is the barbecue columnist for Houston Food Finder. I went to SILLS and got a funnel cake and they double charged my credit card for the day before I even went to the rodeo, and also the day after. They are also attempting more charges…I saw blink 182 in houston and bought my wife a cake with strawberry it was delicious she said, but its not quite worth the constant debit card charges.